Come along to Camberwell Electrics to see in store demonstrations of V-ZUG, SMEG, NEFF, BOSCH, AEG, ASKO, Schweigen, Falcon, KitchenAid products in action. The demonstration is rounded off with a chance to taste the dishes that are prepared in front of you and you can ask your friendly chef any questions that you may have. At the demonstration you will learn all about the various oven functions being demonstrated like: Combi Steam, EcoClean, Pyrolytic. Oven features which gives you perfect results every time. 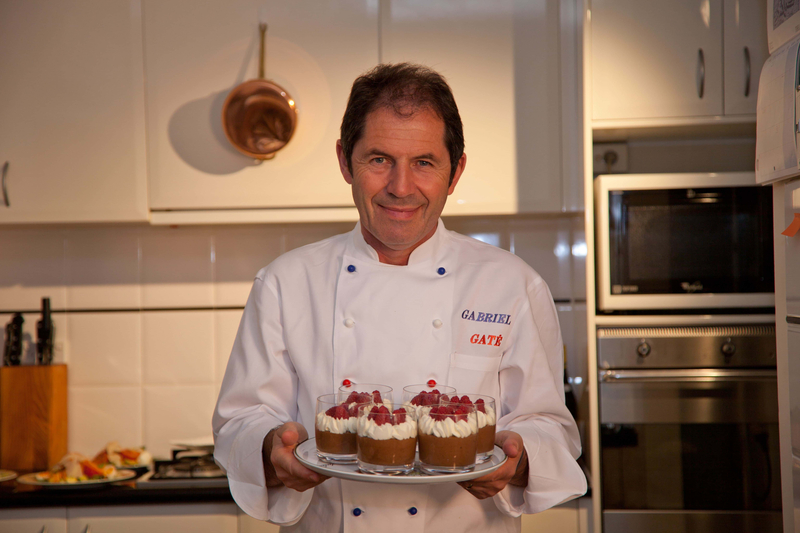 You don't have to be an amazing cook like Gabriel Gaté to use get the best out of your oven and cooktop, but if you came along you may actually meet Gabriel. As the Camberwell Brand Ambassador, Gabriel is a regular guest at the demonstrations. Call us in store to find out which demo he is next attending. • Are you seeking premium kitchen appliances? • Are you thinking of buying some inspiring ovens, steam ovens, dishwashers, rangehoods, induction and gas cooktops? • Are you looking for professional advice to meet your specific needs? 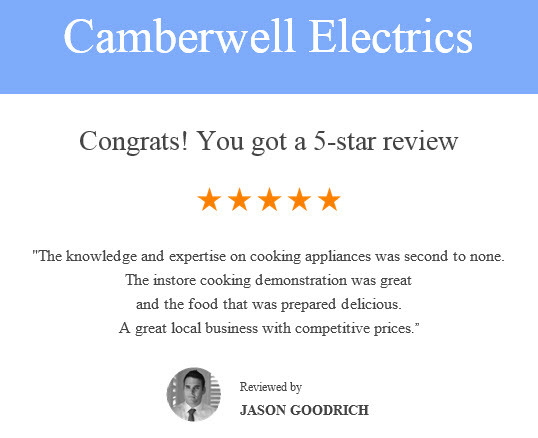 We love quality products at Camberwell Electrics and also recognise that it can take a lot of time and effort to select the right product for your cooking needs. To help you make the best choice on V-ZUG, Schweigen, AEG, NEFF, BOSCH, ASKO, KitchenAid, Falcon, Bora, SMEG brands, we regularly host cooking/product demonstrations where we showcase not only the product features but also have a great time cooking up a storm. This way you can not only try before you buy but are able to ask the chef and specialists all about the products and its features. On selected brands, our team is committed to make sure that your product is a great match for your cooking needs andthey will also ensure that you continue to get the best out of the product features. After you have been using your appliance for a month or two you are welcome to attend a post-product cooking demonstration where the more advanced features are explained and demonstrated. What’s even better is that you can come back for this specialised advice/demonstrations as many times as you like! 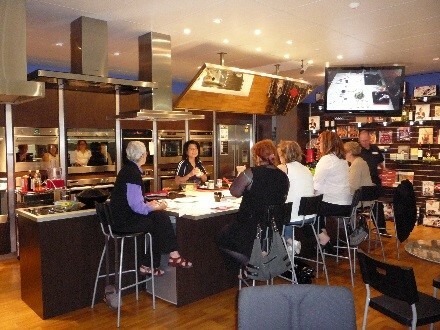 The demonstrations are a fantastic and entertaining cooking experience. They are conducted within a small group environment at either our Camberwell Demonstration Cooking Showroom at 1110 Toorak Road or selected supplier locations. I wanted to pass on my appreciation of the very helpful NEFF cooking demonstration which I attended last Friday afternoon. I bought my NEFF oven from you almost 2 years ago but have never used half of the options that it offers as the instruction booklet is fairly complicated and difficult to follow. The chef (I think his name was Warren) was excellent – and went through all the additional benefits which the NEFF oven offers in a systematic and clear manner as well as demonstrating and cooking us some delicious food. We all went home quite excited and for the first time I used my steam cooking option as well as other additional cooking suggestions he made. The free cooking demonstration is a wonderful incentive and I have passed on this information to all my friends and hopefully they will all buy their NEFF ovens from you in the future!!!! As the demonstrations have limited seats it is essential to book your seat.